This month has been wonderful. I took some time off after quitting my job, searched for a new apartment in Chicago, went on a mini vacation with Tony, spent time with good friends I haven’t seen in a while and have really gotten back into running. Last week I ran around 15 miles, which really isn’t that much but I have been only working out every other day (if that), so I felt pretty proud of myself. The MapMyRun app on my phone has me addicted to timing my runs and competing with myself. I’ve also gotten Tony to run with me a few times. Even though he’s a professional athlete, the man hates to run. I don’t get it. The other day I came back from a 4 mile run (in 32 mins! ); I decided that a little evening baking was in order and wanted to treat myself to something cozy. There were giant Honeycrisp apples in the fridge so initially I was set on making a pie, but then thought about how I didn’t actually want to make the dough so I opted to go the apple crisp route. 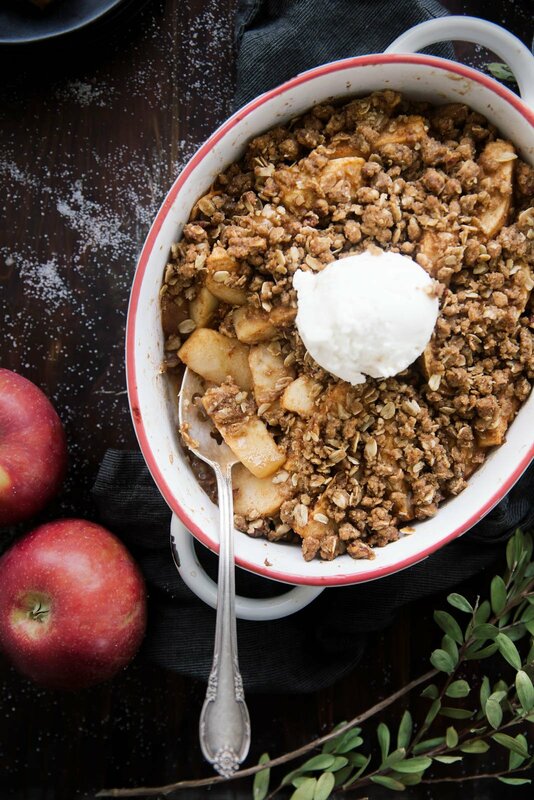 Man I love a good juicy apple crisp with a crunchy topping. Who wouldn’t? Men go crazy over it so if you’re trying to up the baking skills, this is the perfect recipe to begin with. 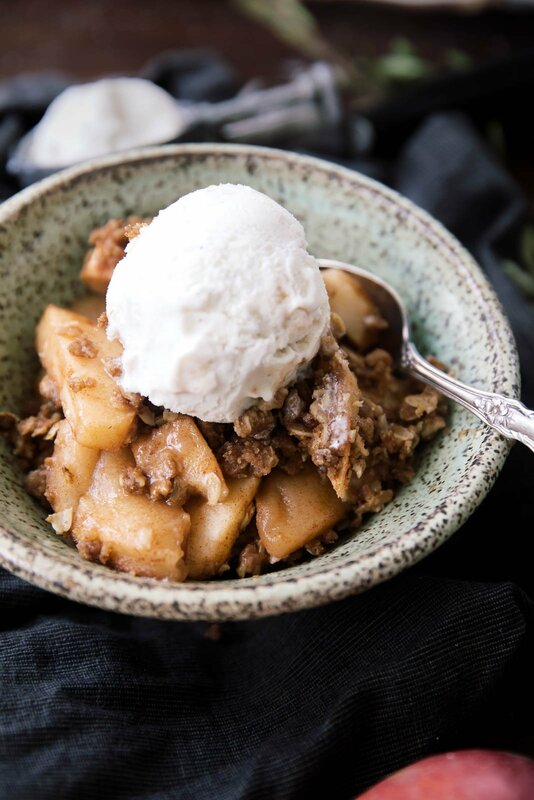 This healthier maple pecan apple crisp version isn’t as buttery or sweet as my brown butter apple crisp, but dang it’s really really good. You’ll only be using 1/4 cup of maple syrup and a little brown sugar for a sweet, crunchy topping. I love the topping because not only does it contain oats, but you get nuttiness from both pecans and whole wheat flour. If you’re gluten free, simply sub a gluten free all purpose flour for the whole wheat and you’re in tip-top shape. Wait, did I just say that? Ugh. Oh oh oh! And don’t forget the bourbon here. The bourbon isn’t necessary but oh my does it give it a wonderful flavor. If you don’t have any, you can use whiskey, spiced rum or even vanilla extract as a replacement. Get crazy. 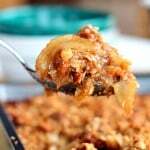 I hope you enjoy this classic maple pecan apple crisp dessert. Best consumed with lots of ice cream. 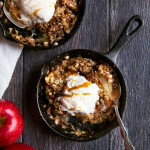 A lightened up maple pecan apple crisp with maple syrup and a crunchy pecan oat topping! Delicious and easy to make! To make the filling: Place apples, maple syrup cinnamon and bourbon in a large bowl and toss to combine. Take a heaping 1/4 cup of the topping mixture and toss with the apple mixture. 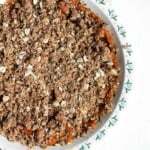 Place the apple mixture in prepared pan and sprinkle evenly with topping. Bake the crisp on a baking sheet (just in case the filling bubbles over!) for 45-55 minutes, or until topping is golden brown and filling is bubbling. Remove from oven and cool 10 minutes on wire rack. Serve warm with low fat vanilla ice cream. Makes 9 servings. 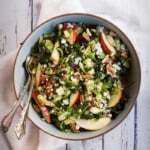 Feel free to use walnuts or almonds instead of pecans. To make this gluten free, use GF oats and a regular all purpose flour. To make it vegan, sub a buttery vegan stick for the butter. 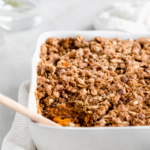 19 Responses to "Healthier Maple-Pecan Apple Crisp"
I love the map my run app too!! It’s the best to compete with yourself for sure…and then eat a fruit crisp…run more…repeat. 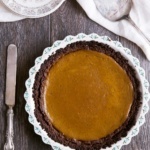 LOVE this lightened up recipe! This looks incredible! 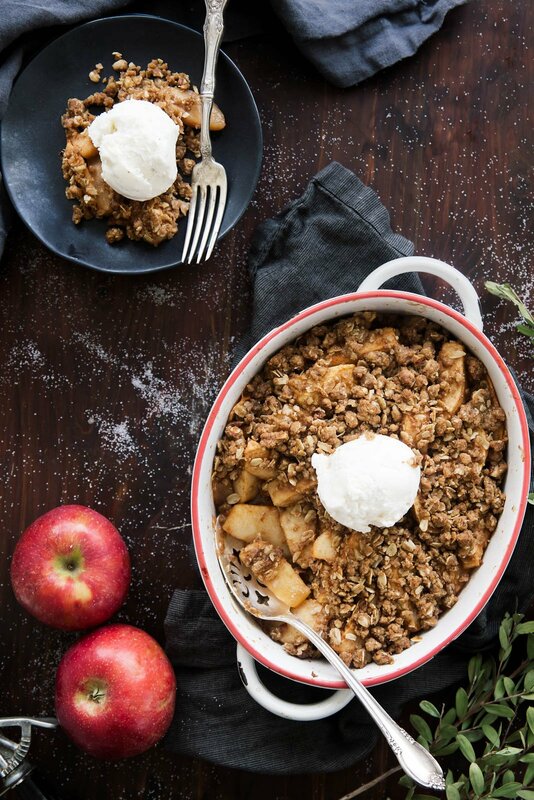 I love a good apple crisp recipe! I’ll use any reason to consume this! This looks out of this world good! So happy you enjoyed some time off and are getting back into running – awesome! 4 miles in 32 minutes – you go girl. And the suggestion of bourbon is just plain fabulous. Love this dessert! AMAZING! I am also looking for a good-to crisp recipe, this looks delicious! Wow! Awesome running! ! That is fast! ! Enjoy the crisp! Good job with running! This topping looks so golden and crunchy! Yum! Can coconut oil be subbed for the butter? Looks so relish! 5 of each apples so total is 15..?